Malcolm Flynn highlights the top three features of the Citroen C4 Cactus petrol manual. 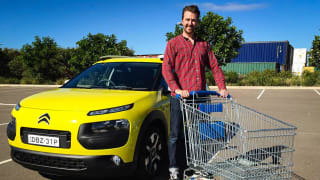 The petrol manual version of the Citroen C4 Cactus is clearly the better of the two choices available on the Australian market, and here are the top 3 features we like. 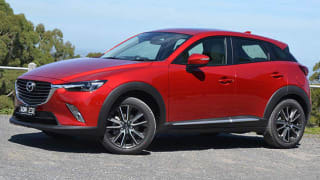 There’s no mistaking the Cactus for anything else on the road, but its clever, robust, design is neither retro or weirdly shaped, so it should age pretty well and be easy to live with. The Cactus’s interior is not without its quirks, but the back seat has ample room for two adults, and there’s pretty handy space in the boot that only gets better with the back seat folded. 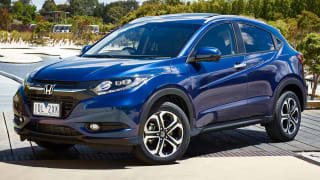 The diesel Cactus is heavily compromised by its clunky auto transmission, but the manual petrol works very well, with plenty of poke from low revs and the five speed manual is a joy to use, if you don’t mind changing your own gears. Watch Malcolm's C4 Cactus manual full road test video here.